Hi all. I'm running 225/55/16 all round on staggered rear 16x8 front16x7 basketweaves . I see the recommended size conversion but have read 225/50/16 is a better size and closer to original diameter. For speed which is out a little. Any one with knowledge would be great. Going for Bridgestone re003 as I've run them for years and cant find fault great tyre but open to try equivalents. 225/55 the standard size for the E39 16x7 wheel. If you are running staggered why don't you go larger on the rear. Can't say ive heard of staggered basket weaves myself. Are they made up from BMW OEM wheel sets? Yes Oem alloys. Off a e38 e39. 16x8 to wide for the front. Use locator rings on 16x7. Have you had a set of each re003s, ps4s. Will have a look. Yes ive tried most of the RE and PS range in 17" sizes on E34's and E39's over the years. 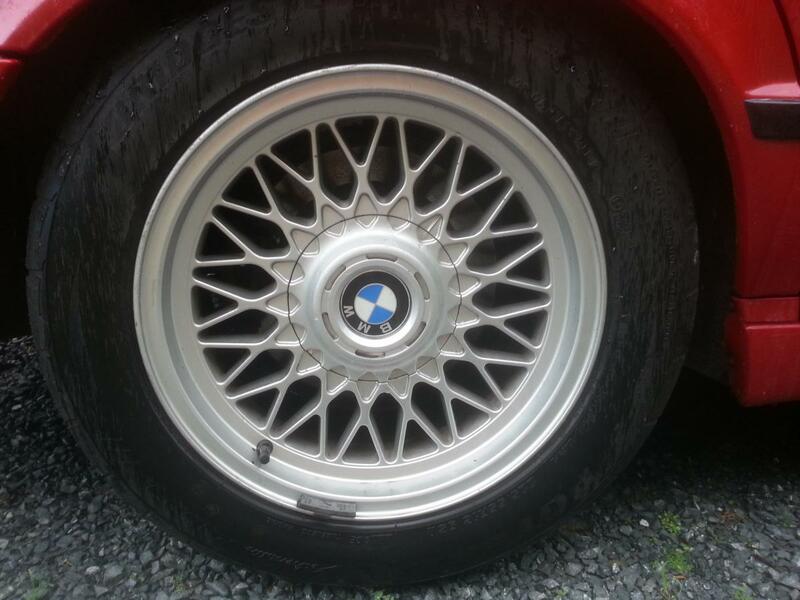 17x8" are the ideal E34 wheel in my book - look good, cheapest tyres and give a good handling\comfort balance. It's for my daily so the wear rate was factor. Semi rural too bumby road.